Non-stop action kept me reading to find out what would happen next. Max and Sydney had to move quickly to stay ahead of the various assassins sent after her. The Christian element was strong, with Sydney not shy about sharing her reliance on God, although I felt that Max's quick about-face with his spirituality didn't quite fit his character.The romance definitely took a back seat to the plot with several twists and turns leading to an exciting climax, but the attraction and admiration between Max and Sydney simmers throughout the book. 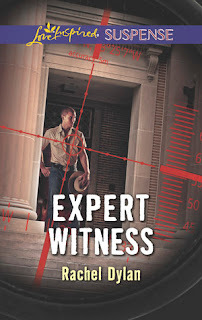 Highly recommend to fans of Christian suspense!